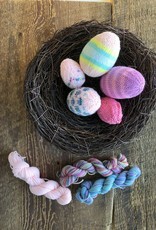 Easter Egg Kit - Spun Fibre Arts, a local and online yarn store specializing in natural fibres. 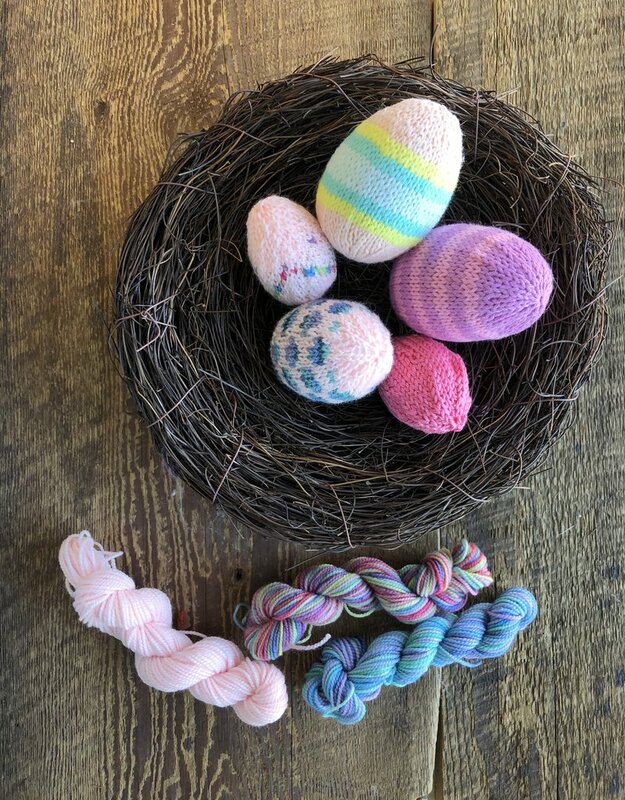 Adorable little Easter eggs to knit up for your Easter egg hunt. Kit contains pattern and enough materials to make 3 medium sized eggs. There are options to make small, medium and large in the pattern. 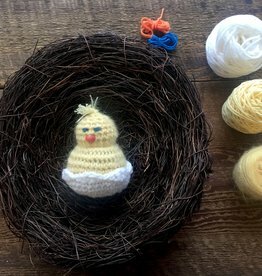 Note: Kit does not contain 2.00 mm needles, polyfill stuffing or styro foam egg.